DIY tools, made from delightfully cheap materials, that are perfect for strength training and cardio. For about $10, you can make your own free weights—perfect to add a bit of resistance to your workout routine. Stop by your local hardware or home improvement store. All you need are some PVC scrap tubes and caps, sandpaper, glue, and wet sand. Get the whole tutorial at The Home Away. If you’re an avid lifter, you know that there isn’t anything smaller than a 5-pound plate. But with the help of these homemade mini weights, you can get the slight weight increase you’re looking for before you’re ready for that 5- or 10-pound jump. Follow simple instructions for creating your own mini weights with the help of Ross Training. Kettlebells are a great way to improve your strength and incorporated cardio into your workout. That said, they tend to be a bit pricey, especially when you’re buying bells with different weights. 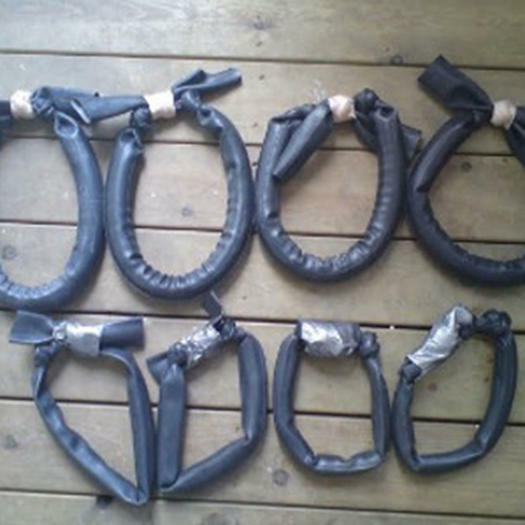 Using these easy-to-follow instructions by Instructables, you can create your own set of kettlebells for less than $10 in whatever weight works best for you. 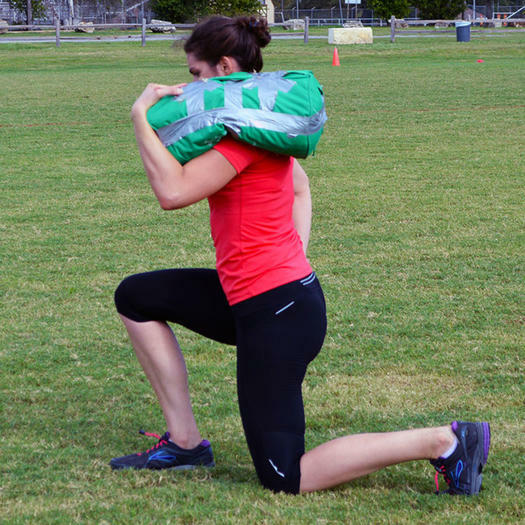 Sandbags add that extra bit of challenge to your workout that really helps build endurance and tone muscles. 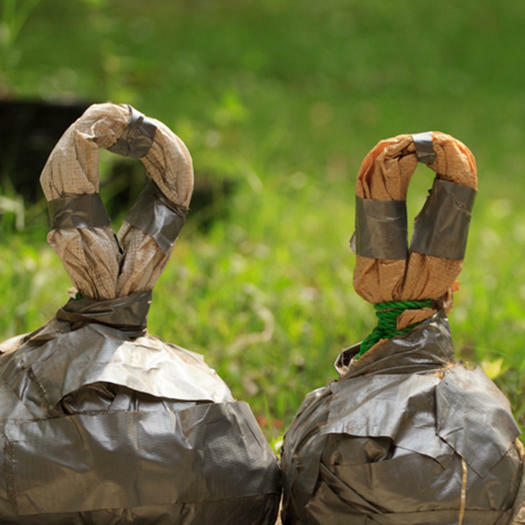 This project by Girls Gone Sporty is super easy to follow, and it’ll leave you with a sandbag that is durable enough to toss and swing. Work on your shoulder press, squat, and upright row using this easy-to-make piece of workout equipment by Let’s Get Crafty. 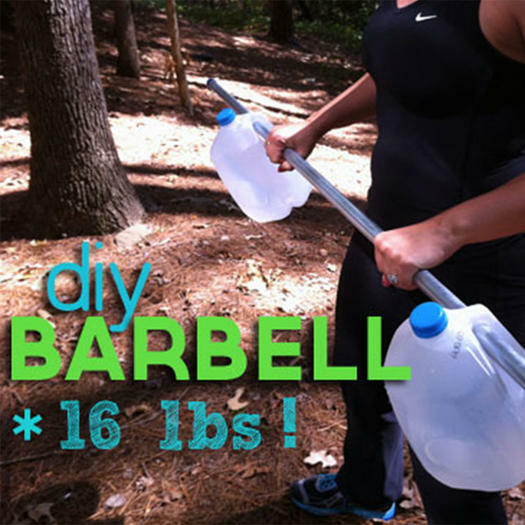 Simply buy two gallon jugs of water and slide them on either side of a pole or bamboo stick. If you’re worried about the weight shifting, tie socks on both sides of each jug handle to keep them in place. It’s that easy. 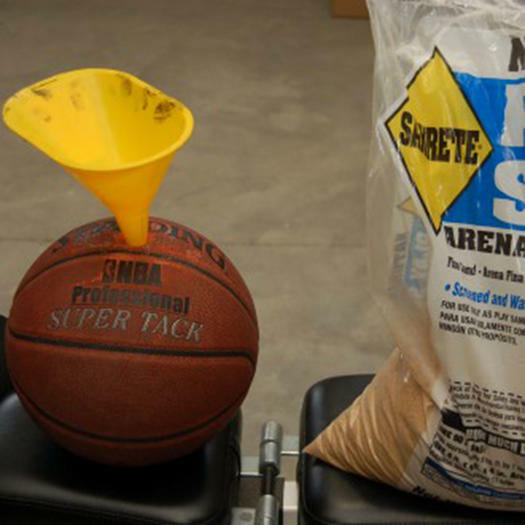 It’s highly likely you have an old basketball collecting dust somewhere. 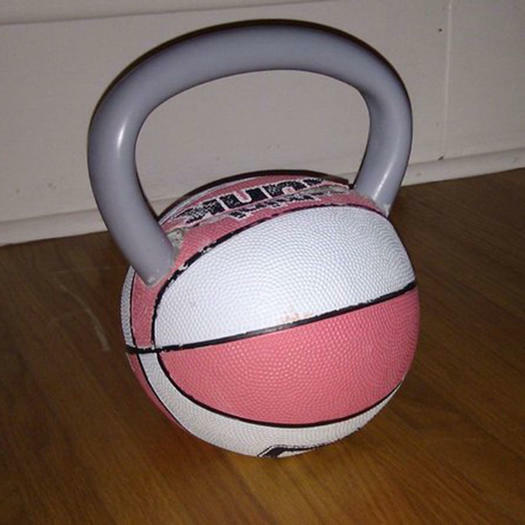 Turn it into a homemade medicine ball by following the simple instructions at Hub Pages. 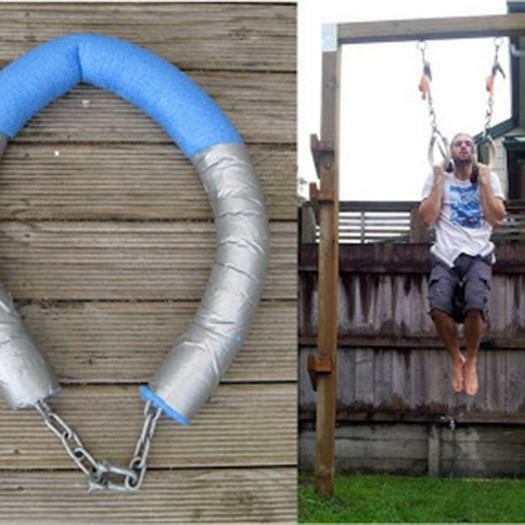 If you’re looking to add a little resistance to your pull-ups or dips, create your own weight belt that will take no more than a few minutes to make, using a pool noodle, chain, and latch. Back to Primal has step-by-step instructions on how to make this versatile piece of workout equipment that’ll give you the extra push you need. 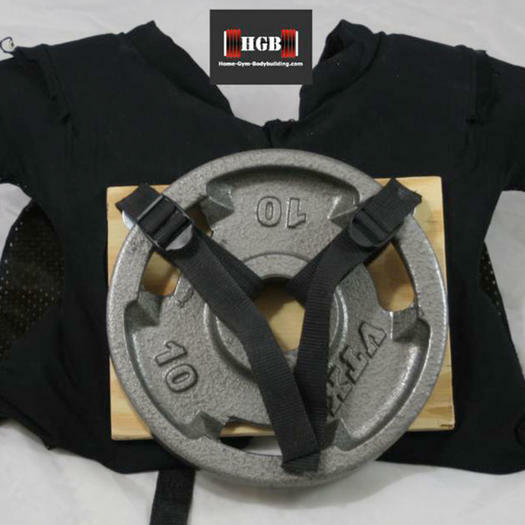 For under $10, Home Gym Bodybuilding can show you how to create your own weight vest that can hold up to 70 pounds! This piece of workout equipment is worth having in your gym. Put leftover water bottles or half-gallon milk jugs to good use by making these dumbbells by The Good Mama. 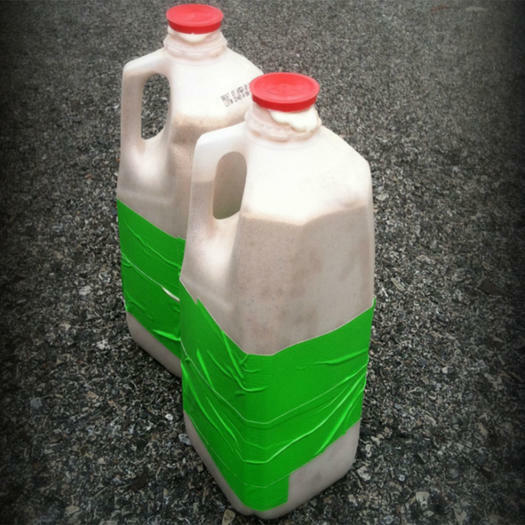 If the small bottles eventually stop being a challenge, simply fill up larger bottles (like one-gallon milk jugs) with water, rocks, or sand, and keep on lifting! 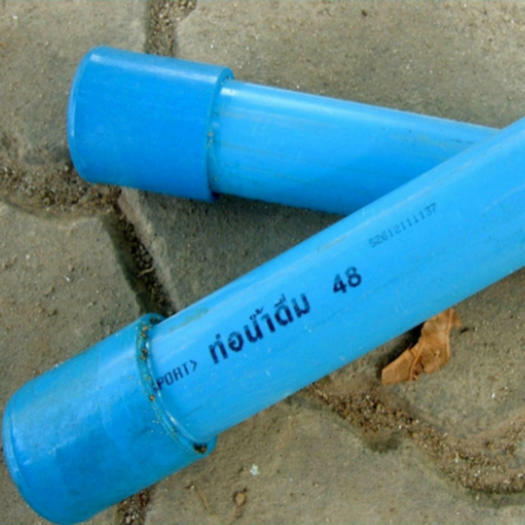 Never heard of a slosh pipe? You’re missing out. 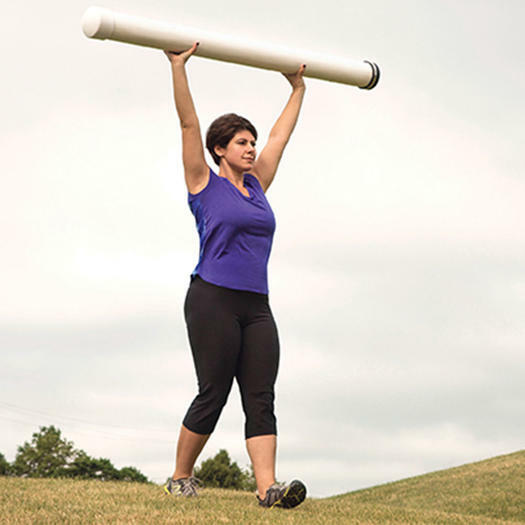 This easy-to-DIY piece of workout equipment is essentially a large pipe filled about two-thirds full with water. As you lift and move it, the water will shift around, putting some serious demand on your core to stay stable and keep it under control. Follow the easy instructions to create your own slosh pipe on the Experience Life blog created by Life Time Fitness. Weight sleds are like the burpees of fitness equipment: You love to hate them, but they give you a killer workout. 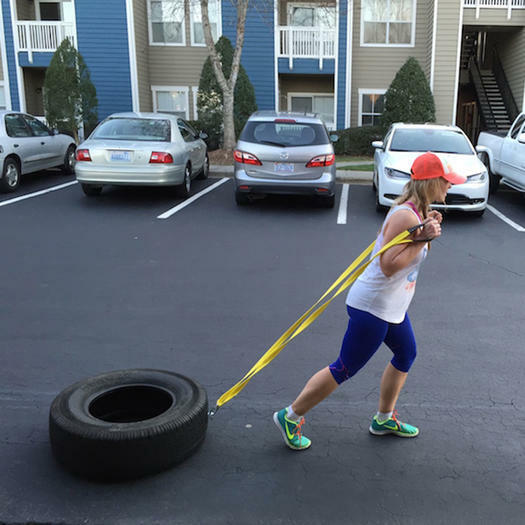 Instead of shelling out $$$ to have one at home, make your own weight sled with a tire and some heavy duty straps (that you can snag right on Amazon), with this tutorial from trainer Camy Kennedy.